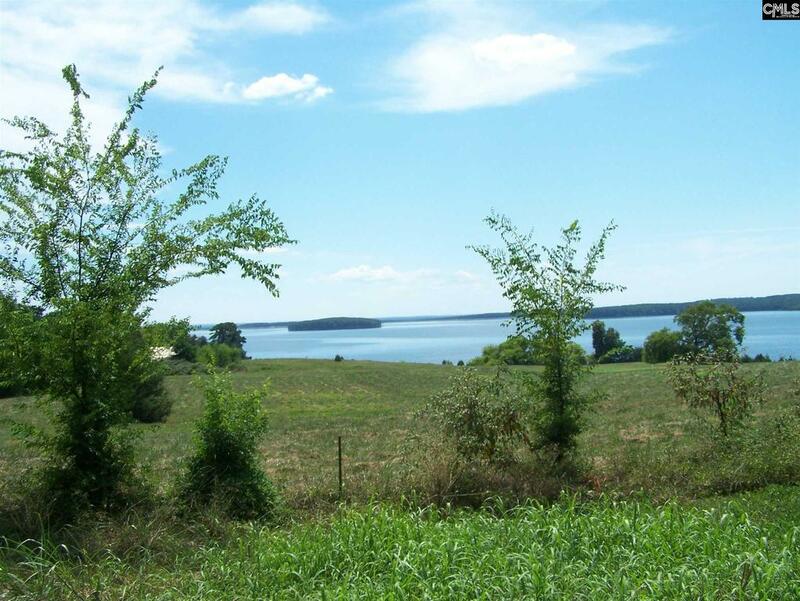 Remaining 2 plots, one on either side of original plantation house: a northern 16.89 acres with 900 ft of water frontage & a southern 46.16 acres with 3,300 feet of water frontage. Exact footages & acreage will depend on a survey that should be performed prior to closing on either parcel. Both parcels are mostly meadow and have a clear view of the lake as there are few trees at the waterfront in the buffer zone surrounding Lake Monticello that is owned & protected by SCE&G. Thinning or pruning of vegetation in the buffer is not allowed: this unimpeded lake view is a rare quality on the perimeter of most of Lake Monticello making these properties very unique. Either would make an incredible gated community or a wonderful private estate.